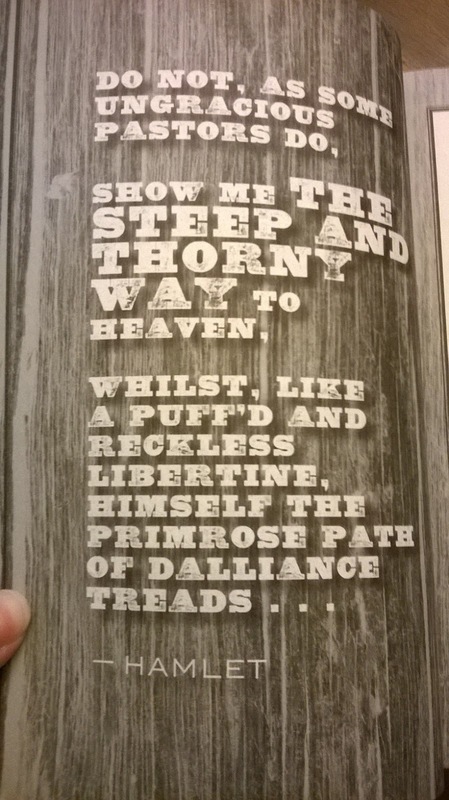 Advance reading copies (ARCs) of The Steep and Thorny Way arrived on my doorstop last night, to my delight, and they look absolutely STUNNING! Here are some photos that will give you a sneak peek at what's in store for the finished book, which releases March 8, 2016, from Amulet Books. At the very bottom of the photos, I've included a short teaser from the novel. The beautiful ARCs: front cover, spine, and back cover. 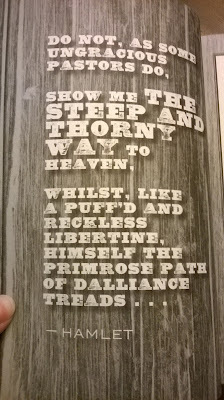 A quote from Shakespeare's Hamlet. 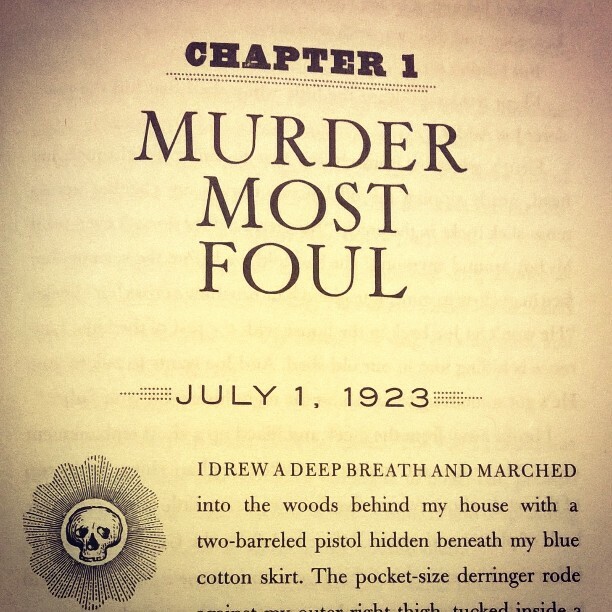 A peek at the beautiful chapter headings, and a preview of the book's first line. The book was sumptuously designed by Maria T. Middleton at Abrams, who also designed In the Shadow of Blackbirds and The Cure for Dreaming. More sneak peeks to come in 2016. Preordering options are listed below. 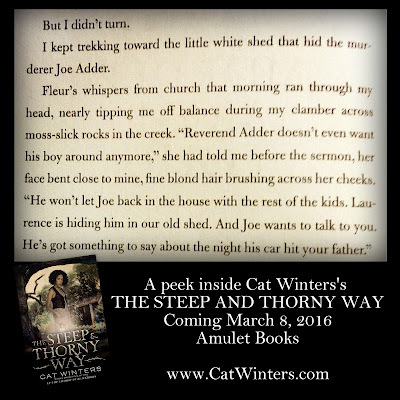 Check back here next Thursday, October 1, to visit my stop in the upcoming YA Scavenger Hunt, which will include an ARC giveaway for The Steep and Thorny Way! 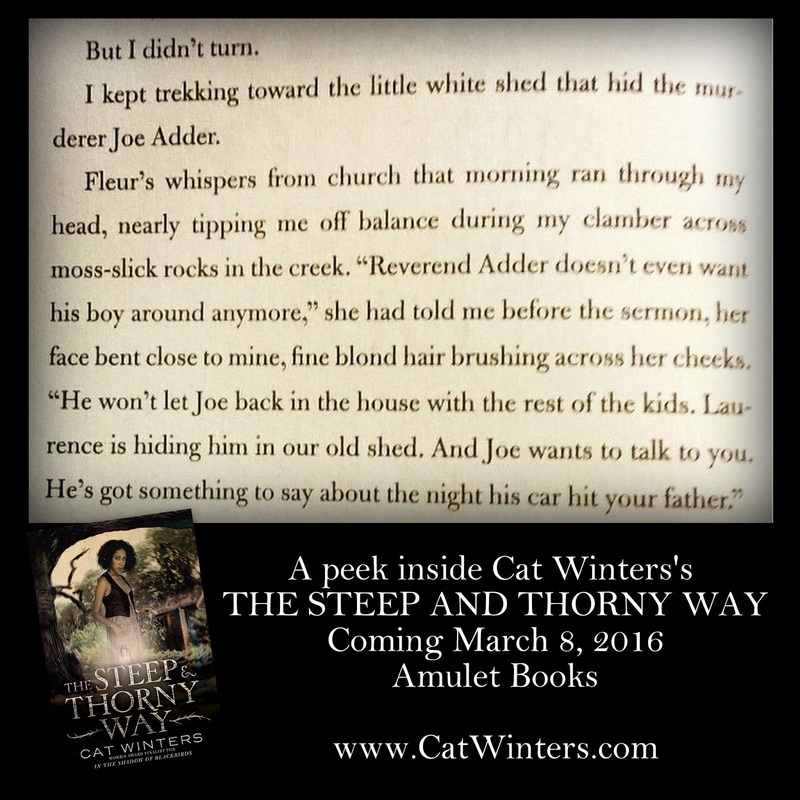 Bloggers: The Steep and Thorny Way will be available to request from the Abrams Kids page of Netgalley later this fall. 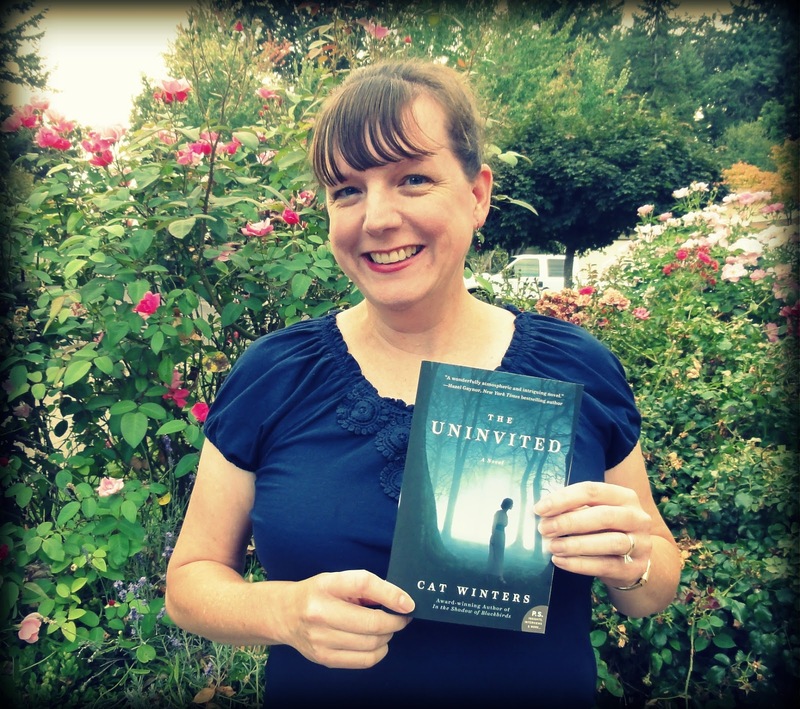 The Uninvited has now been out in the world for a month, and I'm so grateful to everyone who's already picked up a copy. I'll be making two more 2015 appearances for the book, one at a bookstore in my former home of San Diego, a city near and dear to my heart, and one at Wordstock: Portland's Book Festival, a major literary celebration that will be happening right here in my current home of Oregon. Reading and signing with Laura Anne Gilman and me. Schedule to be announced in early October. I'll be promoting The Uninvited with a special appearance at the event. 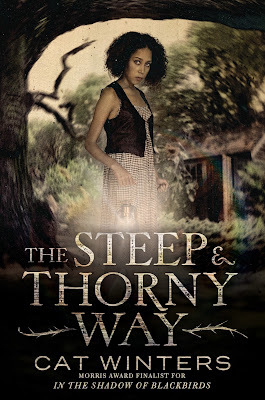 My third young adult novel, The Steep and Thorny Way, releases six months from tomorrow, and I'm happy to say that it's now available to preorder on Amazon! More online ordering options will likely follow soon. Reviewers: I'll spread the word when ARCs are available to request. If you're curious to know a tiny bit more about the book, please head over to Pinterest, where I've compiled pictorial and musical inspiration for the novel. Update: You can now also preorder The Steep and Thorny Way from Barnes & Noble. I just spent the past weekend speaking with fellow authors Wendy Webb and M.J. Rose in indie bookstores in Seattle and Portland. We chatted about paranormal experiences, the challenges and joys of writing, and what we're cooking up next for readers. It was an absolute delight to appear with these two talented and entertaining bestselling authors. Because of my recent book stops, signed copies of The Uninvited are now easily available to purchase.